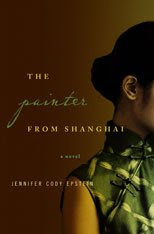 Jennifer Cody Epstein’s The Painter From Shanghai, a debut novel, is a fictional account of Pan Yuliang’s rise from the ashes of her life as Xiuqing, a young child sold into prostitution. Through careful brushstrokes of her own, Epstein deftly fills her canvas with the sights, sounds, and images of China–from the dark alleys and brothels to the crowded, chaotic streets of Shanghai–in the early 1920s. Yuliang is a complex character who numbly makes her way through the obstacles she faces as a new prostitute under the thumb of corrupted merchants and a harsh and battered old woman, known as Grandmother. Emerging from the dank and corrupted halls of the brothel, she jumps into her new life as the concubine/second wife to Pan Zanhua and embarks on her career as a student and painter at the height of the Communist uprising in China during the 1930s. Epstein has a style all her own in which she easily weaves in relevant historical information through character interaction and development, but she also captures even difficult emotions with deft description and poise. In the brothel, readers will feel Yuliang’s degradation as each man leers at her, touches her skin, and makes her kowtow to their desires. 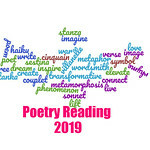 The one solace she has is the poetry of Li Qingzhao, which she recites from memory. Readers will enjoy the verse woven into the narrative as Yuliang examines herself at life-changing moments and seeks solace in the beauty of language. Yuliang is molded by her mentors, but only truly blossoms when she becomes Zanhua’s wife and starts painting. Through painting she learns to combat her demons, her past, and her future, coming into her own as a painter and individual. As China is pulled in two directions between the republic and the communists, Yuliang is caught between her rebellious nature and Chinese tradition. The Painter From Shanghai has a lot to offer book clubs, readers interested in painting, historical fiction, the struggle of women in society, China, and political history, and is one of the best novels I’ve read this year. Check out my interview with Jennifer about her novel and writing habits. 1. Some writers will listen to music while writing and have a particular playlist for their novel or other work. Did you listen to any specific music while writing The Painter From Shanghai, and if so, could you list some of the titles? Or if you were to create a playlist for this novel, what would be the top 5 songs on that list? I am actually highly distractible, so music is not a good idea for me in general unless it’s very low-level classical. Lyrics are bad–I can’t write words when I’m listening to other words. In general, I really just need quiet. 2. Most writers will read inspirational/how-to manuals, take workshops, or belong to writing groups. Did you subscribe to any of these aids and if so which did you find most helpful? Please feel free to name any “writing” books you enjoyed most (i.e. Bird by Bird by Anne Lamott). I loved Bird by Bird, actually. I also was a huge fan of Annie Dillard’s “The Writing Life” (I learned a ton from that) and “A Pilgrim at Tinker Creek.” In terms of workshopping–I find it enormously helpful. I went to Columbia to get my MFA and was very happy to have done so. As my husband pointed out at the time It’s expensive, and the whole precept of “teaching” writing is somewhat dubious. But for me, having mentors, feedback, criticism and–perhaps most of all–other people who were trying to do the same insane things with their lives as was I was really reaffirming. 3. The Painter From Shanghai is written with sometimes very broad and very detailed brushstrokes to mete out Pan Yuliang’s past. Have you studying painting at any point, and if not, is it something you have considered? I took a few oil painting classes for the book, sat in on a Student Arts League class for a day, and also worked with a friend who is a painter on dissecting and trying to re-paint one of Pan Yuliang’s paintings, just to get a sense of what it feels like. I think it’s safe to say the world is lucky I paint with words only! Running. History. Good music. Frye boots. My Springer Spaniel Molly. 5. Please describe your writing space and how it would differ from your ideal writing space. I generally write at a writer’s space, and it is pretty much ideal except for that it’s not easy to get to. I’d like to have it down my street, instead of a good half-hour by foot. 6. What current projects are you working on and would you like to share some details with the readers? I’m currently working on a novel set in 1945, just before, during and after the Tokyo Firebombings. It’s quite different from “Painter” in that it will be told from a few different perspectives, and most of the characters aren’t as closely-based on real people. But like “Painter” it explores the intersection of different cultures, and the power of art (in this case, architecture) to both create and destroy. Thanks, Jennifer, for taking time out of your busy schedule to answer my questions. 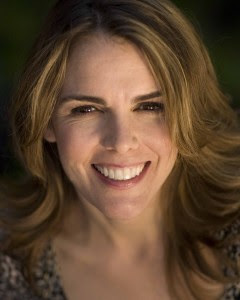 Jennifer Cody Epstein has worked in Japan, China, Hong Kong, Thailand and the U.S. for publications including The Wall Street Journal, The Asian Wall Street Journal, Mademoiselle, Self and Parents, as well as for the NBC and HBO networks. She has a Masters degree in International Affairs from Johns Hopkins SAIS and an MFA from Columbia. She lives in Brooklyn, New York, with her husband, filmmaker Michael Epstein, and their two daughters. Check out her Web site, here. She also very interested in speaking with Book Clubs about her novel by telephone and email if not in the New York City area or in-person if you are in New York City. For reading group guides for The Painter From Shanghai, go here. Here’s another interview with Jennifer at WOW! Women on Writing. Interested in the real artist’s work, go here or here. Check out the rest of The Painter From Shanghai tour with TLC, here. 2-year Blogiversary, here and here and here.